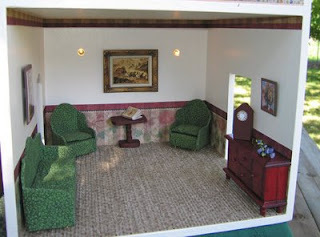 Dollhouse Decorating! 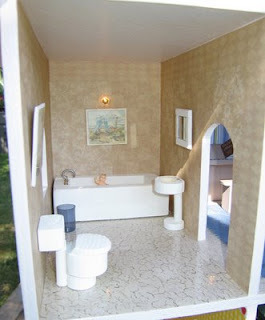 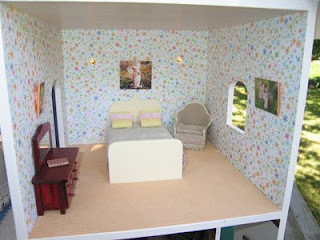 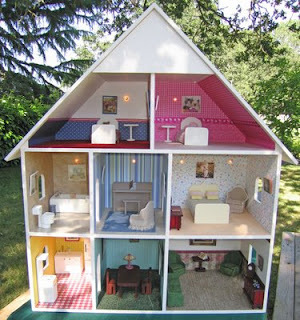 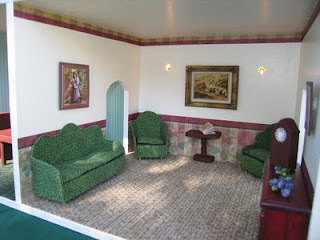 : A newly completed dollhouse for you to look at! 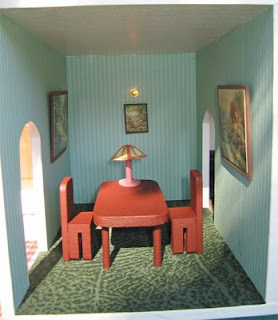 A newly completed dollhouse for you to look at! 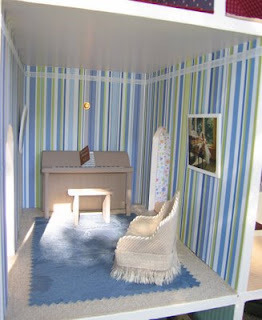 * It has a removeable attic cover, so the attic can be used for storage or as another room. 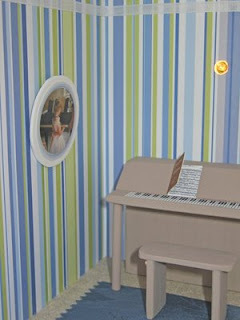 * The pictures on the walls are attached with small pieces of Velcro, so they can be moved around or easily changed. 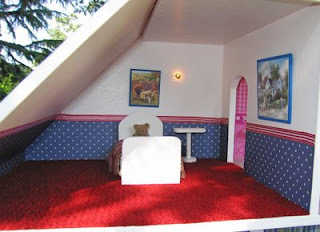 * Beds have a mattress cover, blanket and top spread. 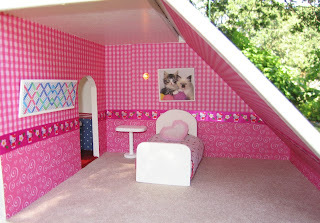 * All the wallpaper in this house is scrapbooking paper. 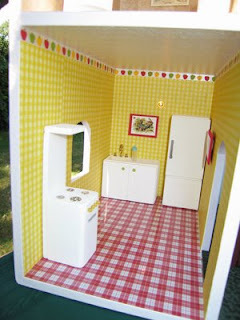 Even the kitchen and bathroom linoleum flooring is scrapbooking paper, covered with shiny laminate.